For many Icelandic engineering companies, energy-related projects are the main focus of business. 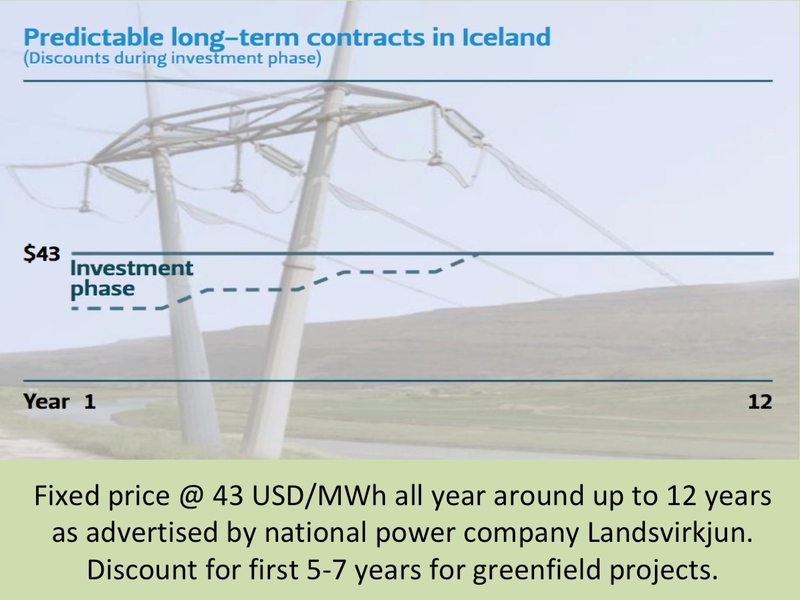 The most experienced Icelandic engineering firms today were involved with the first major hydropower and industrial projects in Iceland nearly a half-century ago. Through the years, Icelandic engineering firms have gained extensive experience and knowledge and became increasingly more involved in both project planning and design. Some of these companies have for decades played a leading role in Iceland’s industrial development and have been instrumental in the development of energy-intensive industries in Iceland. Others have a shorter history, but have also gained valuable experience in Iceland’s fast industrial growth over the last two decades. Today, large power projects and major industrial developments are daily routine for the Icelandic engineering firms, offering industrial clients a single-source solution for their development. Beside their advanced experience and know-how, the firms of course have special knowledge of Icelandic conditions. Today, managing large power projects and major industrial developments are routine for the Icelandic engineering firms. These experienced companies offer industrial clients a single-source solution for their development. Beside their advanced experience and know-how, the firms of course have special knowledge of Icelandic natural, economic, social, and environmental conditions. Some of the firms no longer focus solely on Iceland but have expanded their services to several other countries. For example, Icelandic engineering firm Mannvit now has subsidiaries in Britain, Chile, Germany, Hungary and in the US. This overseas expansion of Icelandic engineering knowledge and services apply especially to the field of geothermal energy. Geothermal potentials in many countries have been overlooked, possibly because of an international political hype towards wind and solar energy projects . In fact, extensive areas of Europe, China and the United States offer great potential for harnessing geothermal energy. You can read more about this in our special geothermal section. This potential does not only include generating electricity, but also includes very attractive possibilities for geothermal district heating. Such projects offer reliable and competitive green energy at very stable prices and are at the same time environmentally friendly. This is a flash steam, combined heat and power plant (CHP), located at one of the largest wet geothermal systems in Iceland (close to Reykjavik). The plant’s purpose is to meet increasing domestic demand for electricity and hot water for space heating. The plant was constructed in several stages between the years of 2006 and 2011. The owner is Orkuveita Reykjavíkur, Iceland’s second largest energy firm. In total, OR drilled 50 boreholes at depths ranging from 1,000 to 2,200m deep). The underground 690 MW station harnesses the water from two major glacial rivers in Northeast Iceland. It is the largest hydropower station in Europe outside of Russia. The Karahnjúkar dam and several smaller dams form the Hálslón Reservoir at 625 – 575m above sea level, with a storage capacity of 2.1 million cubic meters. The power is transferred to the Alcoa Fjarðaál Aluminum Smelter 50 km from the plant by two 400 kV transmission lines. Icelandic engineering firms were responsible for some major tasks regarding this huge project. This included a.o.site investigation, EIA-report, assessment of harnessing choices, structural and mechanical design, project planning, site supervision, and testing and start-up. Icelandic engineers are currently involved in an extensive geothermal energy development program in Hungary (in Szentlorinc and Miskolc). Icelandic engineering firm is a key player in the project, e.g. supplying technology, engineering and geosciences consulting. The project will provide thermal energy for district heating to at least 70,000 homes throughout Hungary. Similar opportunities are to be found in other European countries such as Germany, Croatia, Romania, and Slovenia, to name a few.